but the ensemble was 100% courtesy of my husband, Andy. 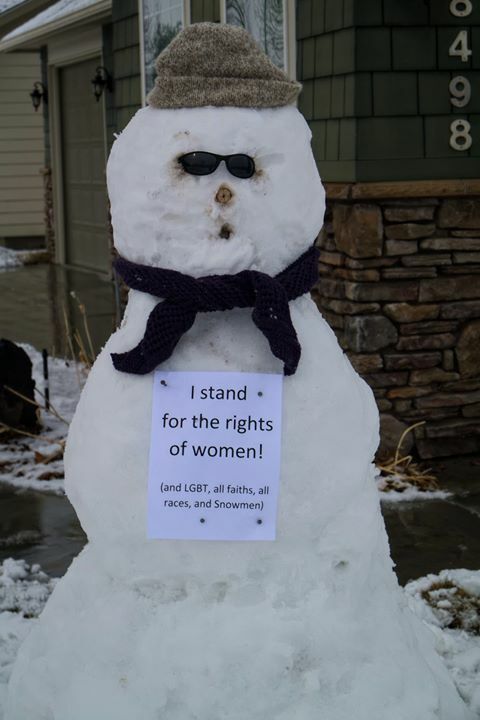 Besides loving his sense of humor, he's a staunch supporter of human rights--not to mention those of snowpeople. Oh, I missed this! This is great. I love it. And after all, global warming is a HUGE issue for snowmen!